Do I meet the criteria to access my superannuation for weight loss surgery for obesity? 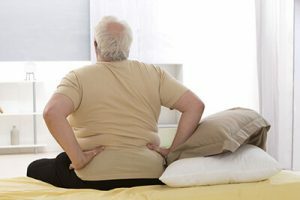 Because weight loss surgery (bariatric surgery) can be an effective treatment for chronic obesity, an increasing number of Australians are requesting early release of super to help cover the cost of gastric sleeve, gastric bypass or other bariatric surgery. The medical treatment is not readily available in the public system. Weight loss surgery fits this criteria. You have a life threatening illness or injury. You have acute or chronic pain. You have not already paid for the out-of-pocket expenses. If you have already paid the expense using a loan, a credit card or money borrowed from family or friends, you do not meet the eligibility requirements. You can’t afford to pay the expenses without accessing your super. For example, if you cannot obtain a loan or use your savings. You are a citizen or permanent resident of Australia or New Zealand. You provide all required supporting evidence and invoices/quotes. How am I taxed when I access my super? The amount of super you can withdraw is limited to what you reasonably need. It is paid and taxed as a normal super lump sum. If you are under 60 years old, this is generally taxed between 17% and 22%. If you are over 60 years old, you will not be taxed. Note: Your fund will automatically deduct the tax from your super account – the amount you receive from the release will not be affected. If you are a member of an exempt public sector super scheme (EPSSS), you need to apply directly to your scheme for early release of superannuation. EPSSS have their own state and territory law in regards to early release of superannuation. How do I apply for weight loss surgery? The registered medical specialist must be specialised in the field of treatment for the patient. The medical practitioner report must be completed no more than six months before you submit your application. The reports must be signed, dated and submitted with your application. The application is a three-part process. Before you apply, check with your superannuation fund / self-managed super fund whether they allow the early release of super. Step 1. Complete the online form. It can take up to 14 days to be notified of the outcome. You will be notified with a message in your myGov inbox. If successful, your superfund will also be notified. Step 3. You must pay the expenses with the amount released from the fund and keep your receipts as evidence.